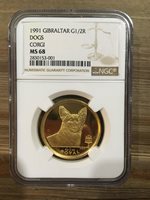 Gibraltar 1 Crown 1996 Gem BU PL 1C UK Britain Elizabeth II Roses Buds. 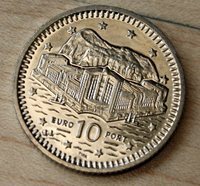 2000 Gibraltar 10 Pence Unc. Gibraltar 5 Pounds 1994 CH BU+ PL virenium WWII D-Day Normandy Commemorative. 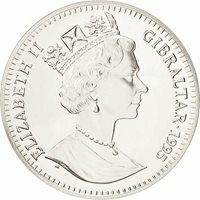 2018 GIBRALTAR 50p Fifty Pence Coin. Chimpanzee. PROOF!